Chris has over 18 years of experience with Henry Carlson Construction. Before becoming a superintendent, Chris was a steel/precast foreman. He has been a certified crane operator for over 15 years and is a PCI Field Auditor (CFA). Chris thrives on tight schedules, complex buildings and bringing the owner and design team’s ideas to life. He knows what it takes to complete any project, before the first shovel hits the ground to the final cleaning. 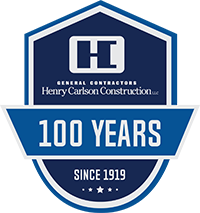 Chris enjoys learning the latest construction industry advances to keep Henry Carlson Construction ahead of the curve.